Natural gas shortage demands urgent steps for the improvement of the state environmental permitting procedures for hydrocarbons exploration and production projects. The primary concern in the area of environmental permitting is the need for adjustment of procedures for obtaining special water permits, waste permits, air emission permits and environmental review decisions. Besides, the harmonization of bylaws, including decisions of Cabinet of Ministers of Ukraine, with the provisions of the Law of Ukraine “On permitting system for business activities” in terms of permitting procedures and timelines is also important. Additionally, regulatory changes foreseeing the increase of the transparency of information on environmental impact of unconventional hydrocarbons exploration and production projects are also rational. Two seminars devoted to the improvement of environmental regulation procedures for unconventional hydrocarbons projects were held on 16 of December in Kharkiv and on 18 of December in Kyiv. 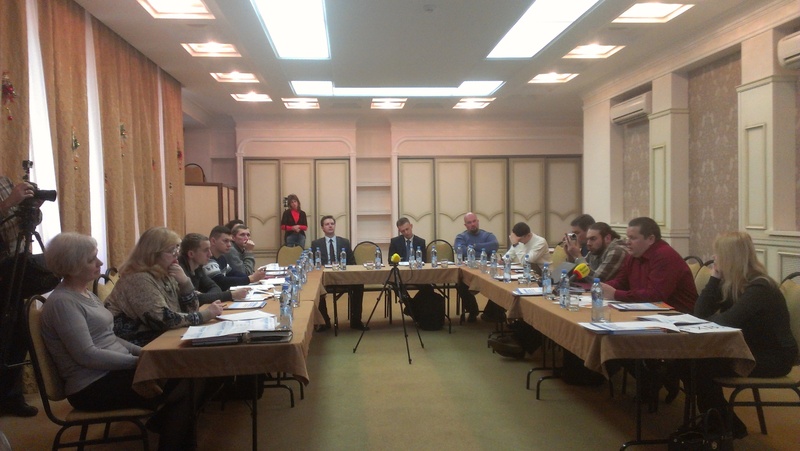 The seminars were organised within “Unconventional Gas Institute” project executed by Shell Exploration and Production Ukraine Investments (IV) B.V. in cooperation with British Council Ukraine. Proposals for reforming of unconventional gas exploration and production regulation in the area of environmental protection based on international experience. «Adoption of some regulatory acts in the recent past led to the unbalancing of permitting procedures for obtaining waste permits and special water use permits causing difficulties with issuing these documents on local level, thus, delaying the hydrocarbons production projects. Permitting authorities on regional level demand urgent steps from Ministry of Environment and Natural Resources, State Geological Authority and Cabinet of Ministers of Ukraine to eliminate existing inconsistencies», – says Anzhelika Shtukaturova, Senior Associate of Dentons, international legal company. The results of international practice analysis with the focus on legislation of Britain Columbia (Canada), Great Britain and Poland in the area of regulatory and permitting practices for unconventional hydrocarbons production projects were presented during the seminars. The experts noted the crucial importance of the improvement of environmental permitting system focusing on the streamlining of permitting procedures, which now could last for months and even years. «It is rational to synchronize the provisions of a number of secondary law documents with the provisions of the Law of Ukraine “On permitting system for business activities” in terms of timelines and procedures, implement the electronic turnover of submitted documents between different state authorities, including the use of permitting centers as a ‘single window’ agency, promote the institutional capacity development in permitting authorities, namely in the Departments of ecology and natural resources of the regions», – commented Kyryl Tomliak, director of LLC “KT-Energy”, the consultancy on unconventional energy sources. “Proposals developed by our team will be discussed with state authorities and business representatives in the near future with further preparation of specific amendments to the legal acts”, – says Kyryl Tomliak. Regulatory changes should also aim to increase the transparency of information about the unconventional gas extraction projects. It is proposed to establish an obligation to publish online the documentation on environmental impacts assessment, environmental permits, baseline environmental studies and also data about chemicals used for hydraulic fracturing. 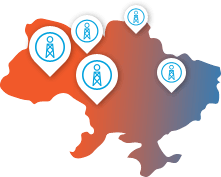 “Higher transparency of information in the area of environmental protection fully corresponds to the best world practices and will form a base for the effective dialog regarding the perspectives if unconventional hydrocarbons extraction in Ukraine between civil society, state authorities and oil and gas industry”, – explains the proposals Mykola Shlapak, the consultant of “Unconventional Gas in Ukraine” project. Presentations are available in Ukrainian.